The arts are alive in Uptown! 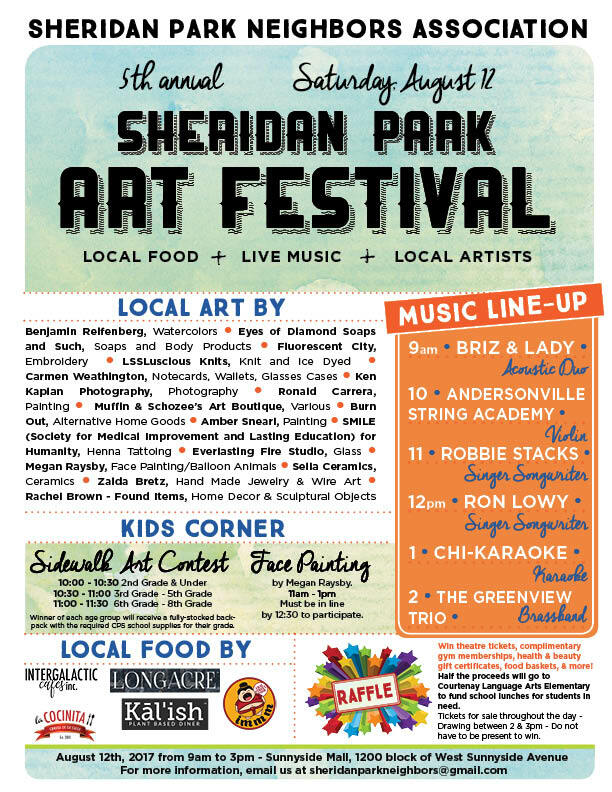 Be sure to mark your calendars for Saturday, August 12, from 9AM-3PM on the Sunnyside Mall (Sunnyside between Beacon and Magnolia) for the 5th annual Sheridan Park Art Festival. Is the organizer of this event taking applications to be a vendor? How do we contact?